Lately remaking furniture has become very fashionable. Although the selection of furniture is huge, however, to create or rework the furniture is a great idea to create something creative. We’ve found some of the coolest and best IKEA hacks from around the web. Which one will inspire you this for your own DIY IKEA? You’ll find DIY Ikea hacks for every room of your house from the small drawer projects are built-ins! Need a small table for a small space? 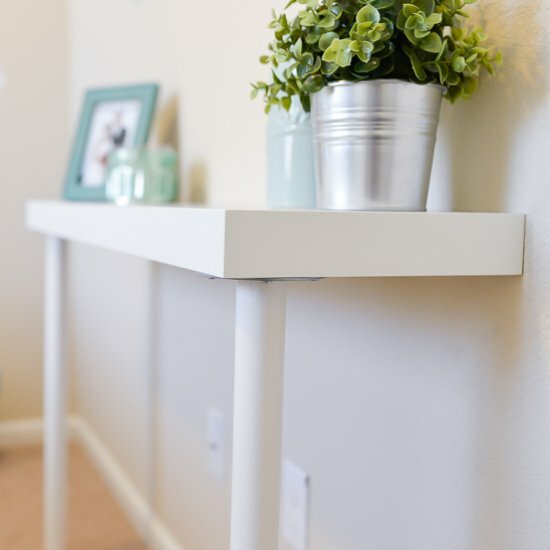 Make this illusion console table using IKEA elements for just $22!